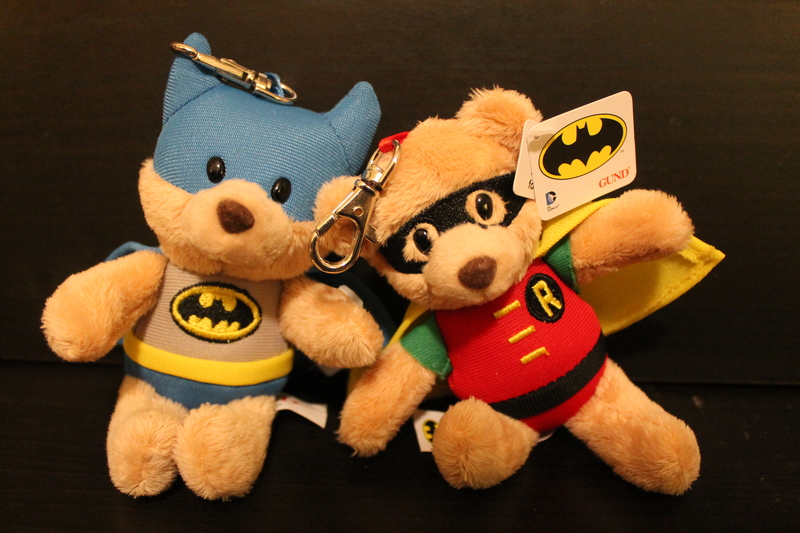 Fresh from New York Toy Fair 2015, we’ve got a special look at the latest collaboration from Gund and DC Comics! Following their previous work together on full-size UglyDolls, Backpack Clips, and even vinyl figures, DC and Gund have done it again with their new line of cuddly characters based on your favorite DC superheroes. Available both as full-size plush and cute little backpack clips (as seen above), the series features pre-existing Gund plush characters Malone, Hardwin, Anya, and Griffin dressed up as Batman, Robin, Wonder Woman, and Superman.. and today we’ve got a chance for you to win your very own set of Malone as Batman and Hardwin as Robin– readon to see our review of the bears and find out how to win yours! 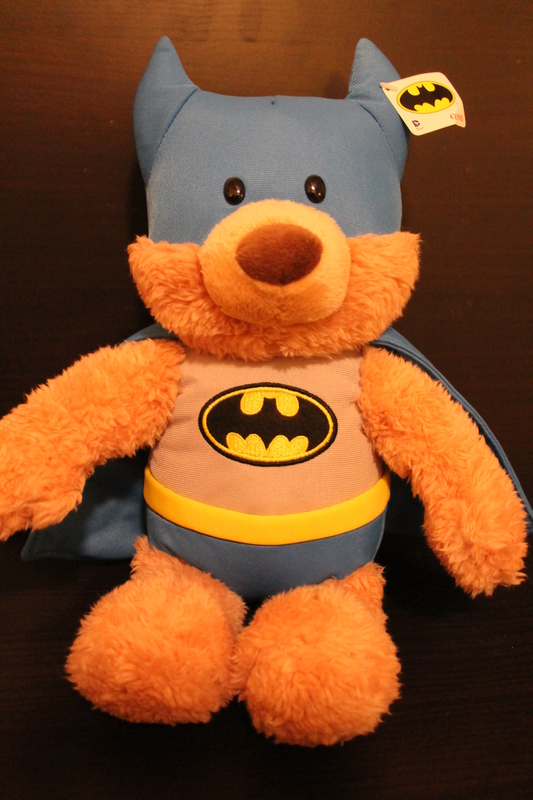 The Caped Crusader has never been more cuddly! Gund’s classic teddy bear Malone is decked out in style, wearing a modified version of the iconic blue and grey Bat-suit that still leaves plenty of fuzzy fur out. Malone’s soft design is perfect for younger Bat-fans to snuggle up with, and he’s sureto be welcome in any Batman collection! But what would Batman be without Robin by his side? 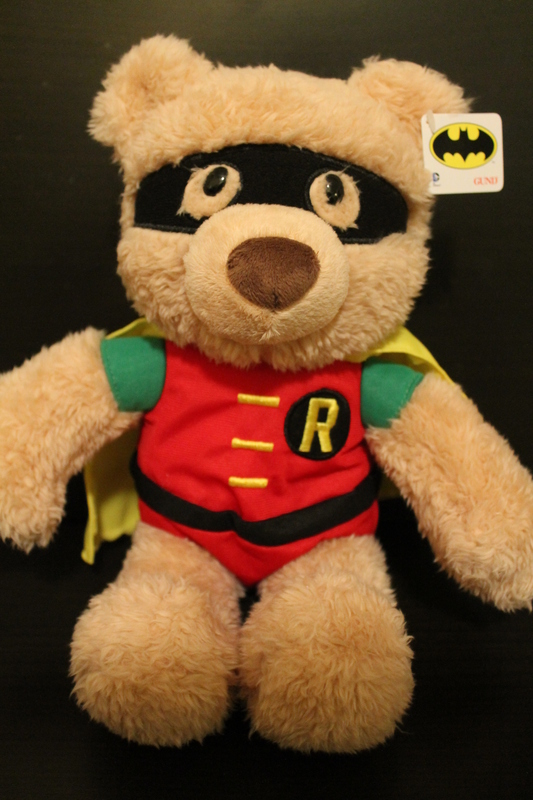 Gund and DC know that every hero deserves a good sidekick, and thus, Hardwin became the Boy–er, Bear Wonder, Robin! Outfitted in a costume to perfectly match Malone, Hardwin is just as cuddly and cute as his counterpart, and just as perfect a fit for any Batman collection or plush menagerie! These 12″ bears will snuggle their way into your heart, and will definitely be a hit with Bat-fans young and young at heart alike! We’re giving away two sets of 12″ Malone as Batman and Hardwin as Robin plush! Two lucky winners will receive a set of bears each, and to enter the contest, all you have to do is follow the instructions below! Like From the Batcave on Facebook and leave a comment on this post (or email FromtheBC@gmail.com) letting us know the name of the account you liked us with. 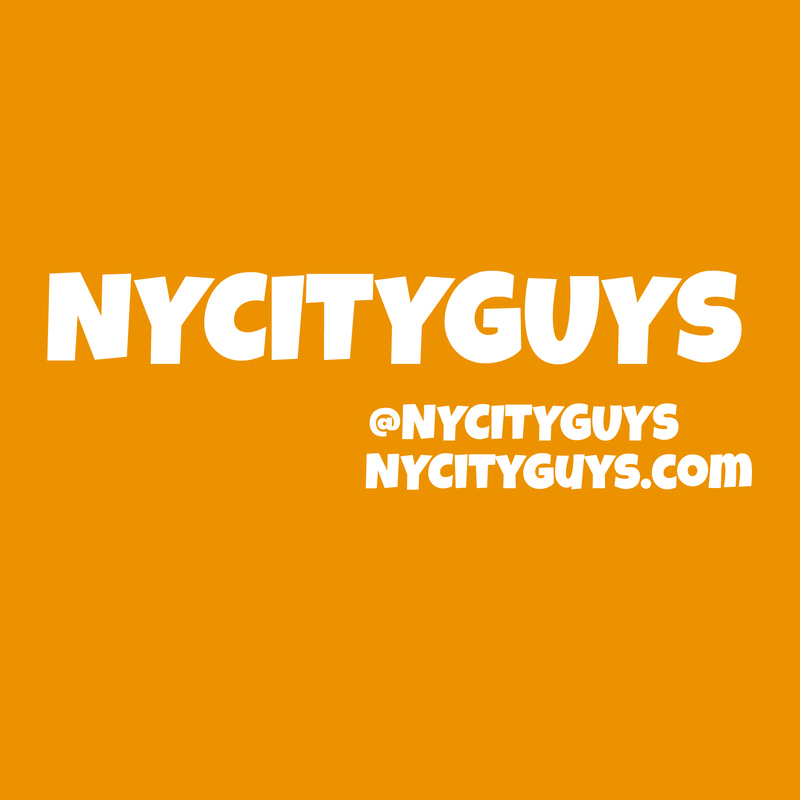 Follow From the Batcave on Twitter and leave a comment on this post (or email FromtheBC@gmail.com) letting us know the name of the account you followed us with. Follow From the Batcave on Tumblr and leave a comment on this post (or email FromtheBC@gmail.com) letting us know the name of the account you followed us with. 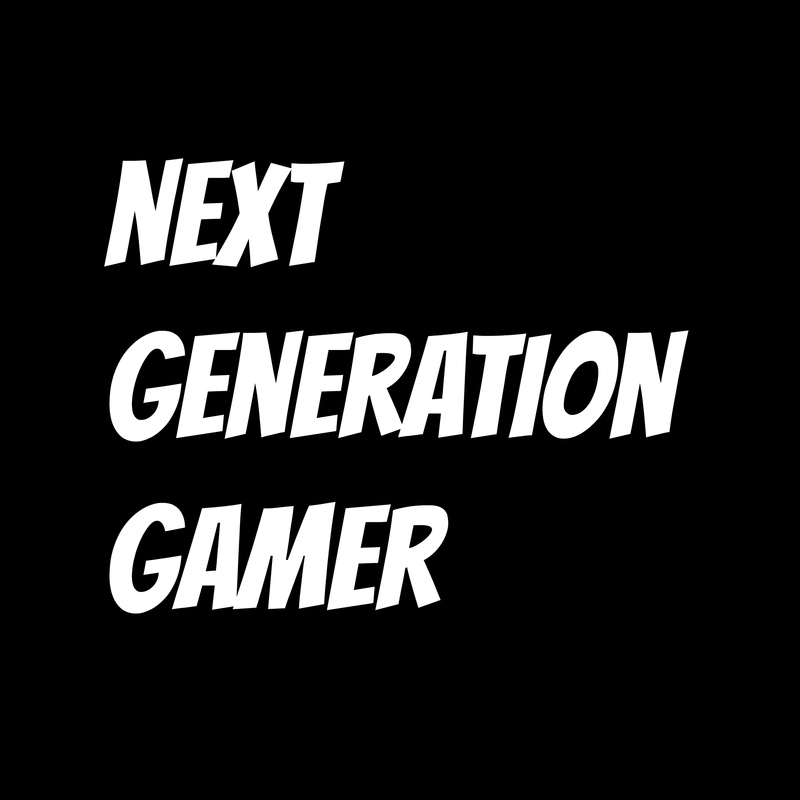 Subscribe to From the Batcave on YouTube and leave a comment on this post (or email FromtheBC@gmail.com) letting us know the name of the account you subscribed to us with. Share this post on Facebook and tag “From the Batcave” in the post. Share this post on Twitter and tag “From the Batcave” in the tweet. The contest ends at 12:00 a.m. on March 27, 2015. The winners will be notified privately on March 28. US and 18+ only. ← #NYTF Spotlight: Diamond Select Toys Brings Animated Batman to Life!